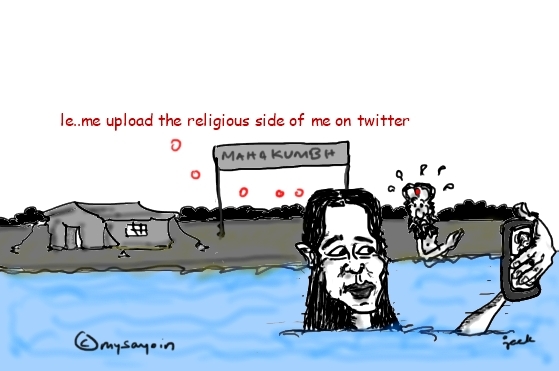 Not only did she take a dip at Maha Kumbh but also seeked blessings from Naga Sadhus-Twitter star,popular for posting bold pictures of herself , Poonam Pandey made it to the news sites again with her snaps at the Allahabad , Maha Kumbh 2013. Ha ha! This is inevitable!